Please recognize and resist the Diabetes Guilt. It’s not your fault that you were diagnosed with type 2 diabetes. You get the phone call and you have to sit down. This wasn’t what you’d expected, and you have no idea what’s ahead of you now. You’ve seen people on TV, their bellies stretched over belt buckles, and you’ve seen the news coverage, the warnings of problems to come. This was something that happened to other people, people who lived far away, people who weren’t like you. But you? You never thought you’d be the one who had type 2 diabetes just waiting to shake up your system, just one blood test away. If the shock of your diagnosis is still lingering, if your head is spinning and your stomach is twisted into knots, that’s normal. If your thoughts are racing from diets and drugs to insulin and glucose and carbohydrates and blood tests and what’s next, you’re completely normal. You may be thinking, What can I eat now? What can’t I have now? And, Is my life ever going to be the same? You don’t know the answers to these questions yet, and you’re scared. Maybe no one else in your family has ever had type 2 diabetes. Maybe you thought diabetes only happened to unhealthy or obese people, and you’re on the thin side. Maybe you’re wondering what you could have done wrong or why this had to happen to you. It’s normal to feel this way. It’s okay. Some folks learn about their type 2 diabetes diagnosis when they visit their primary care doctor about toenail fungus or other minor issues that result in a blood test. Then, Bam! Suddenly you’re receiving a scary phone call that leaves you staggering and opens you up to an entirely new world of life with diabetes. It’s a shocking diagnosis regardless of whether a few people in your family have it or if you figured your odds were higher than the average Joe’s. Here’s the thing, though. Getting diabetes isn’t your fault. 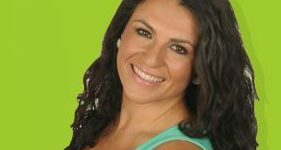 While many people just figure that carrying excess weight or eating too much junk food causes diabetes, and then they get weighed down by diabetes guilt, the cause is not so simple. In fact, it might be the other way around—it may be that diabetes is what causes obesity. You see, you need certain genes in your body to develop diabetes. More and more, it appears that having diabetes requires both diabetes genes and an environment full of plenty of food, emotional stress, and just not enough exercise. Diabetes genes may cause the hunger that leads to overeating and obesity. In short, diabetes is something you were born with. It’s something your body developed over time. So first, give yourself a break. Let yourself sit down. Let the news sink in slowly. Simply breathe. 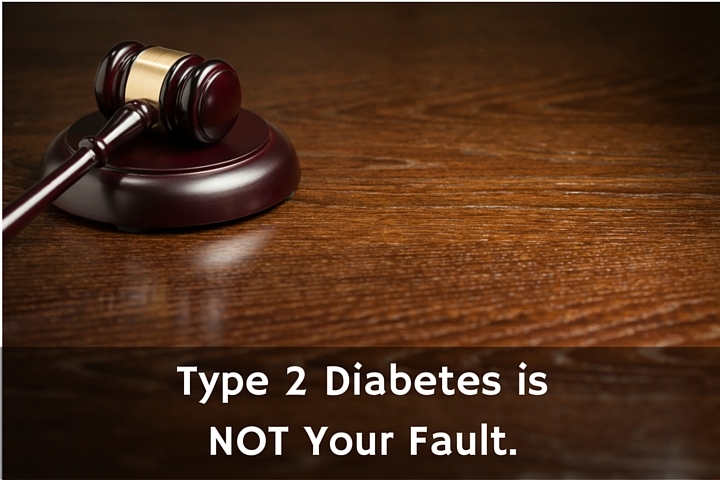 And remember: Diabetes is not your fault.